Drawing upon psychological, theological, and cultural studies on suffering, Carrie Doehring has developed an approach to religiously based care for clergy and caregivers who take a postmodern, or social-constructionist, approach to knowledge. Encouraging counselors to view their ministry through trifocal lenses that include approaches that are premodern (where God can be apprehended through religious rituals and traditions), modern (where rational and empirical sources are consulted), and postmodern (where the provisional and contextual nature of knowledge is realized), Doehring shows how pastoral caregivers can draw upon all of the historical and contemporary resources of their religious, intellectual, and cultural traditions. In a highly practical and hands-on manner, Doehring moves from describing the basic ingredients of a caregiving relationship, to using the caregiver's life experience as a source of authority, to developing the skill of listening, to establishing the actual relationship. She then moves on to explain the steps of psychological assessment, systemic assessment, and theological reflection. Finally, Doehring delineates the basic steps for plans of care: attending to the careseeker's safety and building trust, mourning losses, and reconnecting with the ordinariness of life. Utilizing case studies, offering student exercises, and concluding with an in depth look at a family situation in the novel Affliction to demonstrate her method, The Practice of Pastoral Care is accessibly written for students yet thought-provoking for seasoned caregivers. Practice of Pastoral Care by Carrie Doehring was published by Westminster in February 2006 and is our 21332nd best seller. 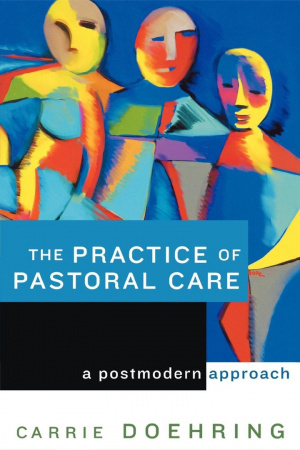 The ISBN for Practice of Pastoral Care is 9780664226848. Be the first to review Practice of Pastoral Care! Got a question? No problem! Just click here to ask us about Practice of Pastoral Care.